“Opening Celebration” rates for other room types start at MYR248 (USD80) for a Deluxe Sea View Room or MYR308 (USD101) for an Executive Suite. Rates are based on single or double occupancy. A third person will be charged at MYR80 (USD25) per night for a roll-away bed. 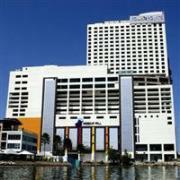 The Four Points by Sheraton Sandakan is an international class hotel that opened on May 30, 2012. Its 299 guestrooms and suites are elegantly appointed with Sheraton ‘Sweet Sleeper’ bedding, LCD TV, mini-bar, and free in-room internet access. 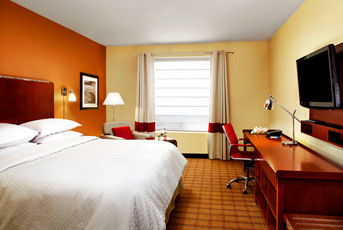 The hotel is located along the harbor and facilities include a swimming pool, fitness center, and restaurants. Visit the Four Points by Sheraton Sandakan website for more information or to make an online booking. 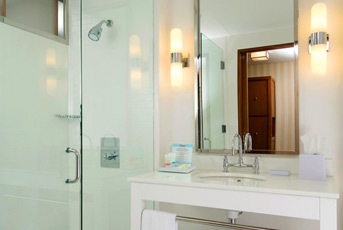 The hotel can also be contacted by calling (60) 89 244 888 or emailing fourpoints.sandakan@fourpoints.com.